Hopetown Carriage Works was built for the Stockton and Darlington Railway in 1853 and operated until around 1884. The northern ‘Double Kettle’ is filled with water from surface run-off, however the water in the southern ‘Croft Kettle’ comes from subterranean springs, which is very noticeable on Google Earth imagery. The site is a SSSI as its the only place in Country Durham where this occurs. Ceramic tiles were placed on properties owned by the Stockton and Darlington Railway in the late 1850s, early 1860s. The F-Line ran to Barnard Castle and F10 is Barnard Castle crossing. These photos were kindly shared by the owner of the item in question. 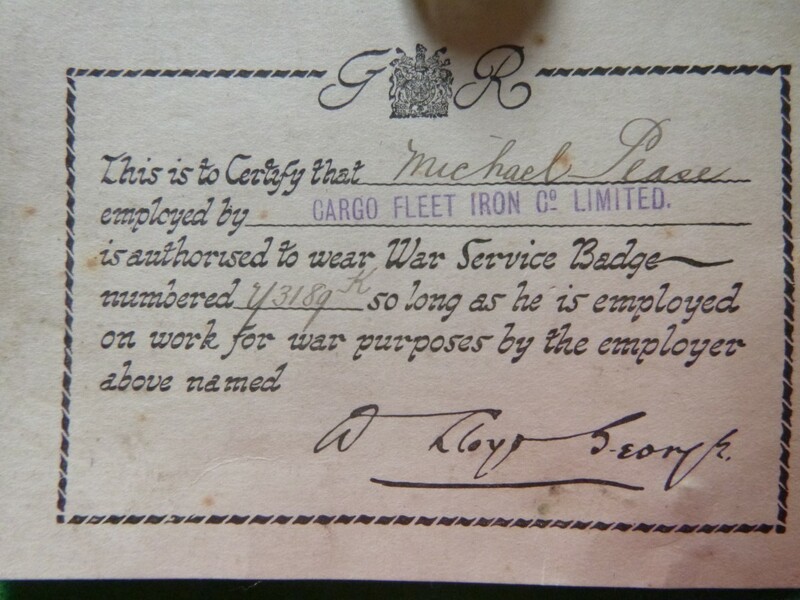 They show the 1915 On War Service badge of Michael Pease. 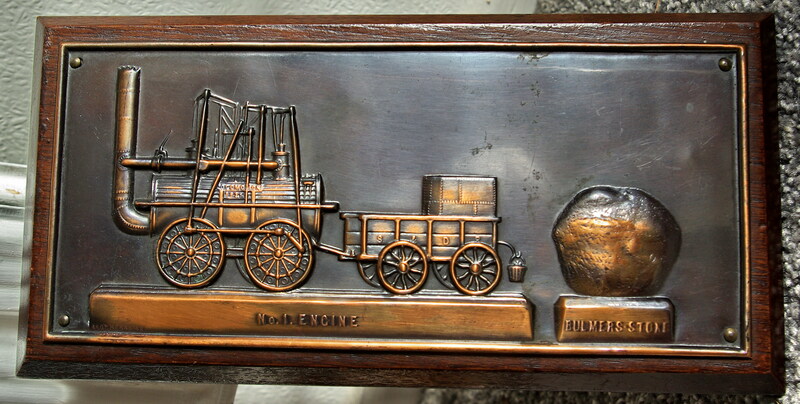 It depicts Locomotion No.1 and the Bulmer Stone. 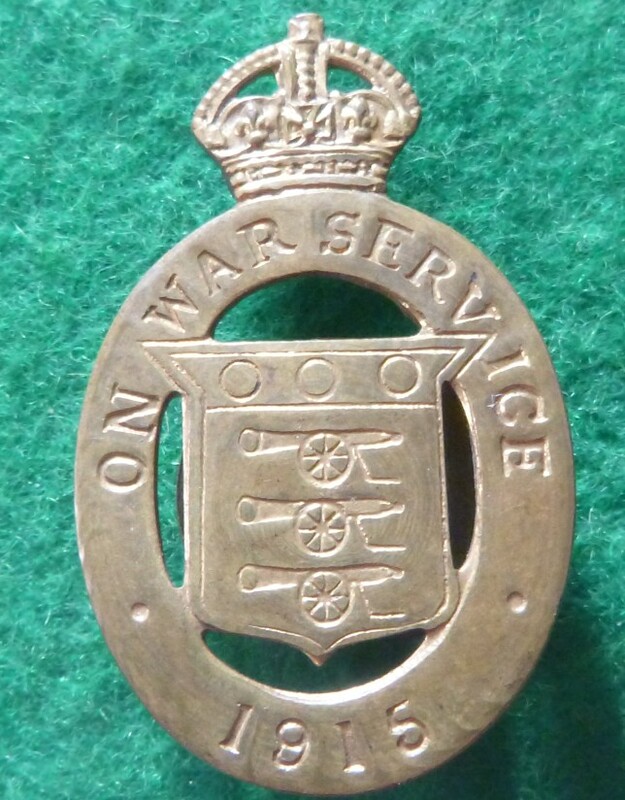 The Head of Steam museum has the mould for these which was made by Stephen Bell in 1909 with the plaque being registered as a medal design in 1911. Backhouse’s Bank was founded in 1774 in Darlington by Quaker, James Backhouse. This ‘branch’ is at Preston Hall Museum. Jonathan Backhouse was heavily involved in the £125,000 financing of the Stockton & Darlington Railway. In 1896 Backhouse merged with other Quaker banks, Gurney of Norwich and Barclays of London to form what is still known today as Barclays Bank. I’m not sure which branch this plaque originated from, possibly Stockton given the date and current location ?